There was a face in the kitchen window. At first it frightened me but after a few seconds I recognized my father. peering in the window in his naval aviator uniform—green in those days—and his hat with the officer emblem gleaming in the evening light. Home from the war days earlier than scheduled and unexpected he stood there waiting for someone to let him the house. Seven days earlier we had rushed about the house preparing to go into town to celebrate VJ Day (the surrender of Japan in the Pacific War). The World War over at last, after four years of absences, rationing, and loss, meant we could finally jump and yell and cry with relief. In a state of mild hysteria my two sisters and twin brother shouted to each other, “Daddy will soon be home!” Our mother sat at the kitchen table weeping. 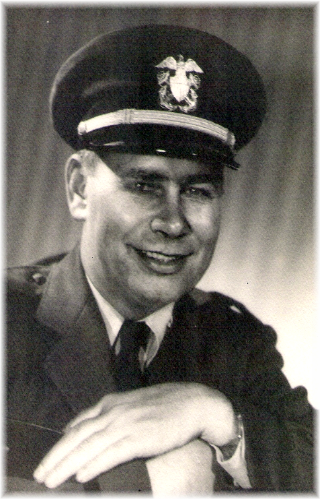 aviator uniform. So excited to see him I forgot to go to the door to let him in. I ran to the living room and shouted, “Daddy’s in the back yard.” I think everyone thought, he’s hallucinating, but I insisted and then came a strong knock on the back door. Somebody rushed to the back door of our home to let daddy in and in that moment the war ended for us. There would be now, at last, peace. My earliest memory of learning about war came at age five. Sitting on a radiator in late summer watching my mother iron and as she ironed she told me that the Germans had invaded Poland. As a five-year-old I didn’t know about Germans or Poland all I knew for certain my mother had serious concerns and that something bad had happened. I recall that night, having a nightmare of soldiers marching down my street. Two years later, while watching a motion picture for children on a barracks ship docked at the Naval Academy in Annapolis, Maryland, the children were told that the Japanese had bombed Pearl Harbor in Hawaii. Again, Japanese and Pearl Harbor meant nothing. Nevertheless, frightened I went out on a small observation platform of the ship and looking out on the Severn River and I waited for submarines or something to sink us. When I returned to our home that evening I could tell something terrible had happened. A somber mood prevailed in our navy housing area and that frightened me even more. I broke down and cried. I knew all the seriousness meant my Navy father faced going to war. Within a year service star banners could be seen in windows all over town and blackout toys entertained children during drills. 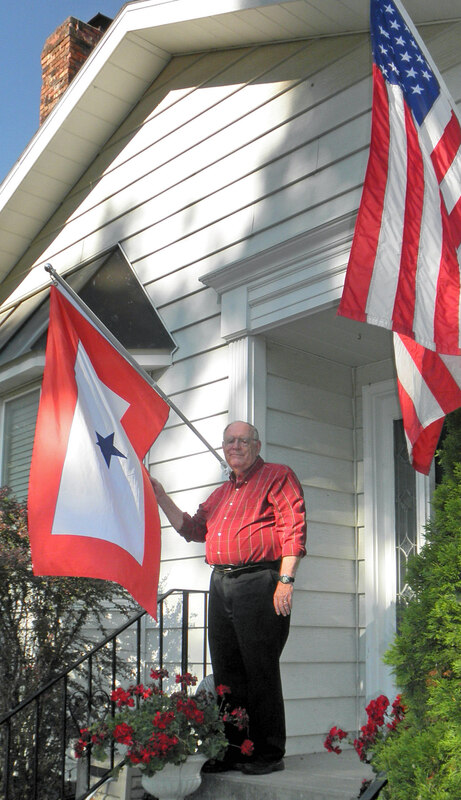 Nearly seventy years later I put a service star banner out in front of my home. This banner, which in my case is actually a flag, at first responded to the summer breezes; then cold and ice and finally spring storms aged it. The flag is edged in red around a white field with a blue star in the middle. The star is for my son but represents three generations of men (grandfather, father, and son) who have gone off to serve in a foreign war. During the years World War II banners hanged in the front windows of homes all around Annapolis. There would be displays of one or two stars and occasionally three or four. I knew what the stars represented. Each star told me that a member of the family housed in that home was serving in the armed forces fighting fascism in Europe and imperialism in the Pacific. My father served at the end of the World War I era and in World War II. He joined the Army in 1919 when he was 18 years old. Serving first in the Philippines as a medical corpsman instead of going to Europe he did not avoid the turmoil of the time. At some point in his Philippine service he joined the 35th Infantry Regiment and then reassigned with the regiment to guard the Trans-Siberian Railroad against the Bolshevik’s Red Army and the threatening Japanese who occupied neighboring Manchuria. The brutal conditions of Eastern Siberia convinced him soldiering had its drawbacks. On return to the U.S. the Army discharged him and decided he wanted to be a sailor; he joined the Navy. Right out of high school in 1953 I decided I wanted some adventure in my life. I joined the Marine Corps and immediately after boot camp and infantry training found myself in Asia serving in the Fleet Marine Force. This was the era of the Korean War. 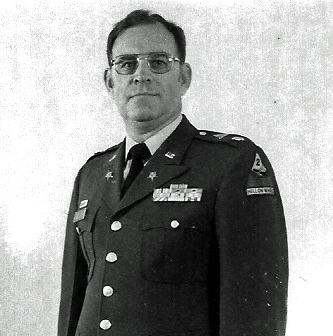 Because I admired m y father’s military career I decided to work toward a military commission while in college. I became an Army officer in 1960. In Việt Nam in my first year there, 1968, I got to experience war very closely. I left behind me my four-month old son, his six-year-old sister, and their mother; they and I would be different people when I finally returned to them. The Army, larger in those days (most of the enlisted soldiers were draftees) we had a larger officer corps and that meant I spent only two years in Việt Nam as opposed to the multi combat zone assignments many of our military personnel are facing today. Not any less arduous than current or previous wars, Việt Nam service did not deplete my spirit and I stayed on in the Army for several more years. My son, now the third generation of my family to go off to war in the past ninety years, served with the Navy in Afghanistan for a year. My hope had been that there would be no need for a third generation to serve in a foreign war; but he departed in June 2010 for a distant combat zone. Ironically, forty-two years ago in June I left for Vietnam. The star on the flag that flew out in front of my home for a year represented a man who was four months old when I departed or Việt Nam in June 1968, and like his father and grandfather, fortunately, my son returned home safely and is reunited with his wife and son. He left his home to answer the call of country and to fulfill his duty as a naval officer as did his grand father in World War II and his father in the Vietnam War. 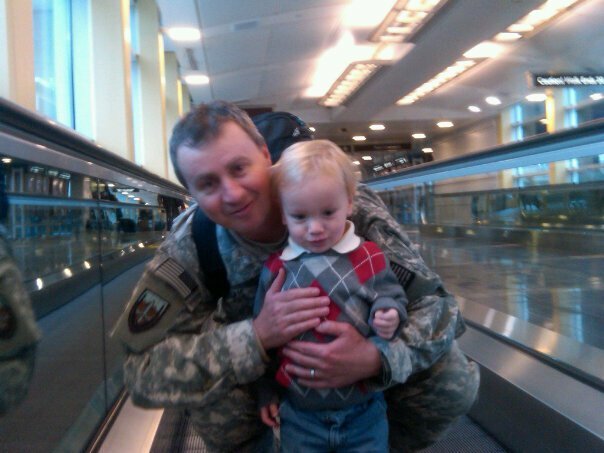 I hope the boy my son left at home will not have to face the prospect of another foreign war. My father told me that he wished he could go to Vietnam in my place, but each generation must face its own realities. The casualties of war rarely haunt us and their memorials often lie unattended, and veterans of our wars are easily overlooked. Because there is always an urgent need to get back to “normal,” we forget about the pain of war. Politicians, despite their words of angst, are quick to use the war machine our taxes buy. There are always “hawks” who think America has a right to go anywhere to make war. The politicians, and the people of this country, are slow to remember or prefer to forget the casualties when they are brought home either in flag-covered boxes or maimed in visible and invisible ways.